Star anise is a spice that comes from an evergreen tree native to southwest China. The Chinese have used it for thousands of years as both a culinary spice and a medicine. Its pods are shapely with eight arms, and this was believed to signify “good luck.” The spice was introduced to Europe in 1578 by English navigator Sir Thomas Cavendish. He brought star anise to Europe via the Philippines, causing many Europeans believe that the Philippines was where it originated. The spice’s use in Europe was limited mainly to desserts and liqueurs. Star anise has been in use in Russia since the 17th century and in Germany since the 18th. 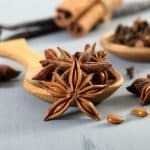 The flavor of star anise is widely described as having the same licorice notes found in fennel and anise with star anise being the most pungent of the three. Its spicy and sweet flavors intensify during cooking, so much so that it can leave a bitter aftertaste if too much of it is used. It is important to note that the pods are more flavorful than the seeds when whole but broken pods quickly lose their flavor. It is Rich in shikimic acid. Star anise is the main source of a compound called shikimic acid. When used in combination with quercetin, shikimic acid has been shown to bolster the immune system to make it better able to fight off viruses. Shikimic acid is used in the production of Oseltamivir, which is marketed as Tamiflu. It protects against candidiasis. Anethole and other extracts from star anise are effective against Candida Albicans, a type of fungus. Candidiasis is the unchecked growth of candida albicans, which is a part of the gut flora and lives in the mouth and throat. It can cause systemic fungal infections in people with compromised immune systems. It is an antibacterial agent. Star anise is effective against bacteria, including bacteria known to be resistant to antibiotics. Just like its antifungal properties, the antibacterial properties are largely due to its anethole content. Anethole is also found in other spices such as licorice and aniseed. It aids digestion. 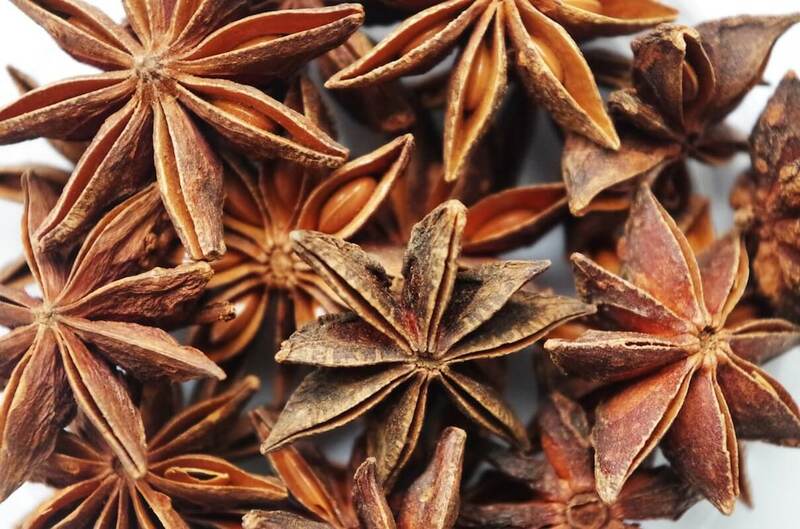 In traditional Chinese medicine, one of the uses for star anise is as a treatment for digestive problems. 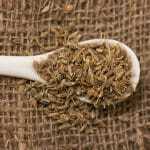 The spice can be used to treat bloating, flatulence and indigestion. It is an antioxidant. Star anise contains multiple polyphenolic compounds that fight inflammation. There are also flavonoids like kaempferol and quercetin along with various phenolic compounds that are effective antioxidants. When considering star anise for its health benefits, it is important to note the difference between Chinese star anise (Illicium verum) and Japanese star anise (Illicium anisatum). The two are related, but the Japanese version is highly toxic. Star anise is one of the spices found in many of the Chinese five spice powder blends used throughout Asia. In Vietnam, it is the main flavor in beef Pho and in Thailand it is used to flavor iced teas. In Europe, star anise is used in many anise liqueurs such as sambuca and anisette. It is also an effective complement to the spices traditionally used for baking throughout Europe and North America. It can be combined with cinnamon, nutmeg and cloves for use in classic baked goods like apple pie and gingerbread.